Thailand’s National legislative Assembly this month voted through the first reading of a law which will relax the country’s draconian laws on drug use in respect of three controlled substances. These include the local substance kratom and marijuana. However for foreigners living in Thailand or visiting the country, caution, care and better still, an outright injunction against drugs is a good policy in Thailand. The penalties and complications associated with even being stopped on suspicion of drug possession in Thailand are potentially severe. Stephen Roye leaving a Thai prison vehicle after he arrived in court following his arrest for attempting to smuggle heroin on a flight from Bangkok to Amsterdam in 1994. (Inset) Roye explains to TV reporters how he was only running a sting undercover news report. He received a life sentence and served 8 years in Thailand before being repatriated to the United States to finish the remainder of his sentence there under US legal provisions. (Below) Jake Mastroianni, a 28 year old Australian DJ currently serving a double life sentence after 61 ecstasy pills were found in the Pattaya apartment of his Thai girlfriend in 2014. 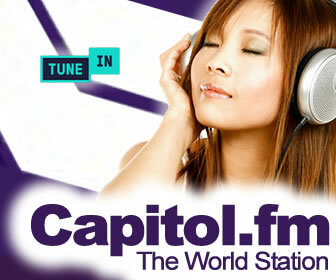 It was raided by Thai police following the arrest of a UK friend and fellow DJ. 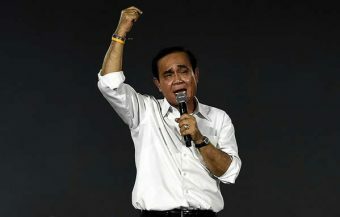 His conviction and sentence was upheld by a Thai court in 2016. As the law currently stands in Thailand, under no circumstances is drug use justified or allowed in the Kingdom. If you’re interested in drugs, Thailand is not the best place in the world for you. Drug possession in Thailand is still regarded as a serious offence and despite the new laws being examined by the legislature, the Thai police have not relaxed their operations against both drug possession and drug dealing. It should also be noted that drug use in Thailand, with the exception of more cosmopolitan society, is something considered unacceptable in what is still quite a conservative country. It would be accurate to say that Thailand at this time has zero tolerance for drug use or even possession. Thailand has, over the last few decades, developed very stringent drug laws and authorities have shown that they are not willing to make an exception even where foreign tourists are concerned. All narcotic or psychotropic substances, including recreational marijuana, that has this week has been legalised in Canada and is legal in some U.S. states as well as Uruguay, are prohibited under current Thai law. Drug-related convictions in Thailand can land foreigners in jail with sentences of anywhere between one year in prison to a life sentence or theoretically even a death sentence although these have in the past been routinely commuted to life imprisonment (Thailand this month executed its first prisoner since 2009). 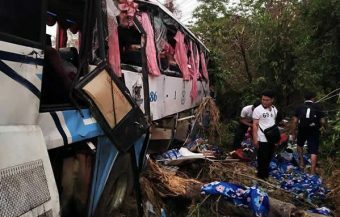 There are also steep fines ranging from 10,000 to 5 million baht. Despite the draconian laws and stringent enforcement, drug use remains an affliction or source of addiction for many in Thai society. It is the susceptibility of a proportion of the Thai population to drugs that originally prompted the zero tolerance policy. 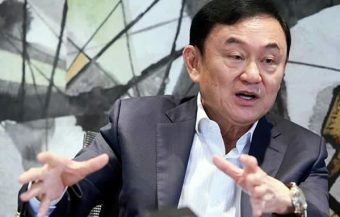 The reason for the proposed relaxation of provision is that too many Thai people are being imprisoned particularly young Thais of working age. Ironically, it is the case that many if not nearly all prescription drugs are extremely easy to buy in Thailand and their purchase does not require a prescription at all. Foreigners to Thailand should be beware of purchasing drugs like these even though they are freely and legally available in most chemists and pharmacies. The drugs can’t be carried past airport or border checkpoints without a prescription or medical passport and could put the users in legal jeopardy in other jurisdictions. 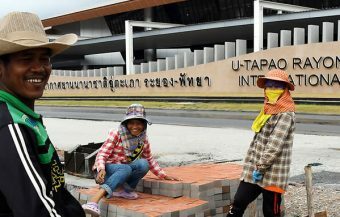 Due to Thailand’s geographical position, drug problems are prevalent in the country. The Golden Triangle, an area where the borders of Thailand, Laos and Myanmar meet, has consistently ranked as the second biggest heroin producer in the world, only after Afghanistan. (The area had been in fact the number one before the Afghanistan was plunged into conflict and its people started growing poppies). Drug profits are a lucrative option for armed rebels or crime groups in the region. From the border, heroin, cocaine and the other illicit drugs to cater for all markets, filter down to the rest of the country through a vast network of dealers, permeating all aspects of life in Thailand. Tourists can find places advertising ‘magic’ or ‘happy’ foods and drinks throughout Thailand, the slang words signify drugs or marijuana. And while you are unlikely to be a werewolf, be careful when going out in Thailand when the moon is full. Full moon parties today attracts young tourists to Thailand from all over the world. During these popular and well-known full-moon parties, a lot of people, locals and tourists alike, can gather around to sing, dance to music, drink alcohol to excess and take psychedelic drugs that enhance the experience. Drug use is not confined to beach parties; many indoor private parties and nightlife bars are known to have drugs users. 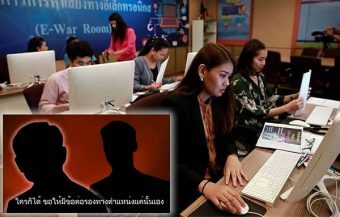 A lot of young Thai people, mainly from the upper middle class, are exposed to drugs and purchase them through the internet to avoid detection. Sometimes, expats and visitors to Thailand are caught up transporting drugs. Some claim they did it unknowingly while others plead extenuating circumstances forced them to take the bait. Undoubtedly there are those who were cheated into doing so and become unknowing drug mules. 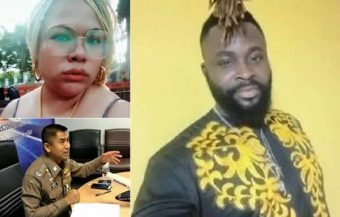 It is certainly the case that many young and innocent Thai women have been caught in this trap hired by African foreigners. Many of these unfortunate women have ended up on death row in China, Malaysia and Vietnam. Some have even been executed. It’s easy to see why drugs in Thailand represent bad news. In 1990, Ms Karyn Smith a working class Birmingham girl and her friend Patricia Cahill were given a free, all expenses paid, luxury trip to Thailand; in return, she had to carry a package out of the country which would turn out to contain the largest quantity of heroin that had been attempted to be smuggled through a Thai airport up to that point. The duo were jailed for twenty five years but were released three years later under a pardon from the Thai king. 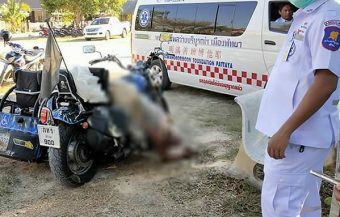 The case received a lot of media attention and representations were made to the Thai government. 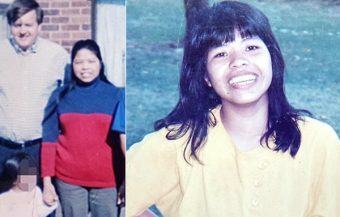 Although Ms Smith maintained her innocence throughout, she pleaded guilty when it was intimated to her family, perhaps erroneously, that she may have been facing the death penalty. Her family always vehemently argued her innocence. A fellow UK cellmate in Bangkok when she was released, Sandra Gregory, ended up spending 7 years in prison, four of them in Thailand and three later in the UK for smuggling an even smaller quantity of drugs through Bangkok’s Don Muang Airport. 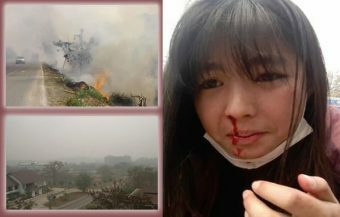 She had been working in Thailand when she developed an illness and was left without income. A boyfriend made her a proposition of assisting him to carry drugs to Tokyo. This resilient UK woman, reputed to be the basis for the popular Bridget Jones films, later went on to to earn a degree from Oxford University and published her memoirs. 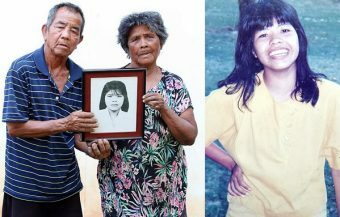 Ms Gregory later said that she loved Thailand and regretted not spending her full sentence imprisoned in Thailand. She described the conditions in Thailand as better than the UK prison system. Sandra Gregory attempted to return to Thailand at a later stage to meet old friends. However she was denied entry as she was blacklisted due to her conviction. There are many foreigners who have served long sentences and have even been sentenced to death for smuggling drugs in Thailand including Australians, Britons and Americans. 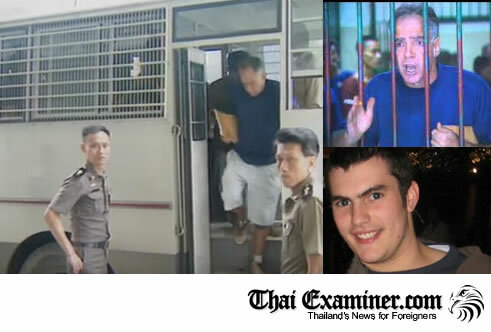 There are also many foreigners who have been given and have served stiff sentences for dealing drugs in Thailand. Among them is 28 year old Australian DJ Jake Mastroianni who in 2014 was arrested for possession of 61 ecstasy pills at an apartment in Pattaya and whose double life sentence was confirmed by a Thai court in 2016 for drug dealing. Lawyers for Mastroianni have told the media in Australia that the young Australian, who lead an idyllic lifestyle of pretty girls and song in Pattaya, did not have any drugs on his person when arrested. 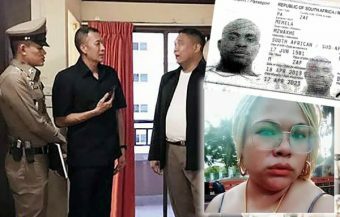 A UK colleague had been arrested by Thai police which had led the police to an apartment belonging to Mastroianni’s Thai girlfriend where the pills were located. ‘The police were given information that led them to the girlfriend’s apartment and Jake was there when they raided the apartment,’ the Australian’s Bangkok lawyer said an interview with Australia’s ABC News. One of the strangest stories involving drugs and smuggling in Thailand concerned an Emmy award winning news journalist from the US. In what has been described as a ‘nightmare without end,’ the US reporter claimed that he was working undercover with a group smuggling drugs in order to produce a news report. Stephen Roye had quit his job as a TV reporter in the US before his arrest in Thailand and had run a sports memorabilia store in New Jersey which had failed. He had then returned to California which is where, he later told the media, he had come up with the idea for his undercover news scoop. He was arrested in October 1994 as he boarded his flight from Bangkok to Amsterdam. He had 6 lbs of heroin sewn into the lining of his suitcase. 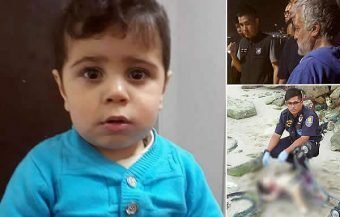 He claimed that it had been his plan to back out of the operation right before the crime was committed but that he was told that it was not possible and that his family would be in danger and that of other accomplices and their families from cartels. 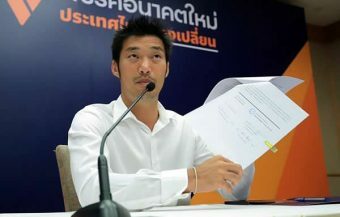 After the journalist was arrested, he faced the full rigour of the Thai legal system which might well have regarded his startling and bizarre claim to innocence as an aggravating factor if not proved. It was not accepted by the Thai court. He can be seen in 1995 TV clips stepping off a prison vehicle seemingly confident that the situation would be righted and even threatening to sue for ‘big money’. Told to plead guilty to avoid a harsh sentence, Stephen Roye was nevertheless given a life sentence. The US journalist faded into obscurity and served eight years in a Thailand’s infamous Bang Kwang prison in Bangkok before being returned to the US to serve out the remainder of his sentence under US legal provisions. 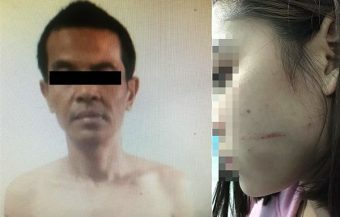 One French person shares on an online forum a bizarre story of his cousin who helped two young Thai women evade police detection, only to be deported. 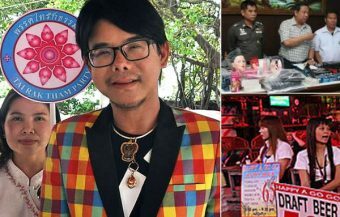 He claimed that when the police raided a venue in party mode where his cousin, a sportsman, was present and demanded urine samples, his cousin agreed to swap urine samples with two Thai women who admitted to him that they had taken drugs. The two women subsequently tested negative while the cousin tested positive! Quelle surprise! The cousin was arrested and detained for some days at a police station. He was later deported and blacklisted. 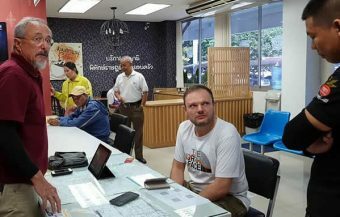 Unsurprisingly, there have been voices critical of the French man’s naivete and his willingness to help others to evade Thai law. 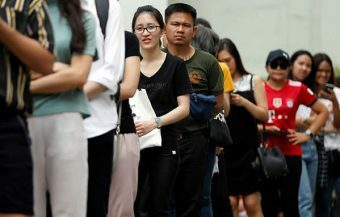 Authorities in Thailand have pointed out that there are actually proper procedures for conducting a search on suspects or requesting them to take urine tests. 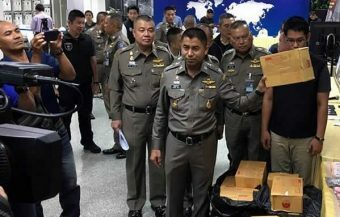 Thai police leaders is some areas in the past have pointed out that there are detailed protocols in respect of searches demanded of foreigners including requests for street urine samples. They have even suggested taking photos of the police officers who search them and their vehicles but of course this may provoke suspicion and antagonise the police who are, after all, just doing their job. Generally speaking, foreigners are advised not to sign any documents presented by the police as they may be used against them. However, it should be borne in mind that this may be a difficult course to pursue if embroiled or entangled with a police investigation and in custody. The best advice for foreigners in Thailand is to exercise caution and comply with all laws to the letter so as to avoid a compromising situation in the first place. Foreigners should be mindful that the drug situation and culture in Thailand is not similar to that in western countries in spite of the attractions offered by some unscrupulous hospitality venues. That means it is strongly advisable and in any foreigner’s interests, to comply with local laws even more so than the Thai public who are citizens of Thailand. In other words, no drugs and full cooperation with the Royal Thai Police. If you don’t have time for Thailand’s rigorous enforcement of drug laws, then Thailand, or its police officers may not have much time for you either.